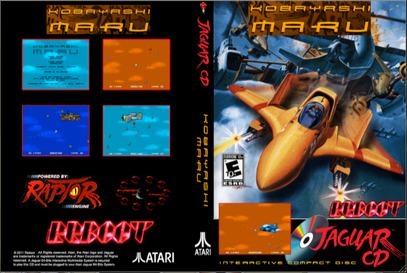 Kobayashi Maru is a 50/60 fps rotary action shooter for the Atari Jaguar games console and was written utilising a version of the new Raptor Engine by Reboot. 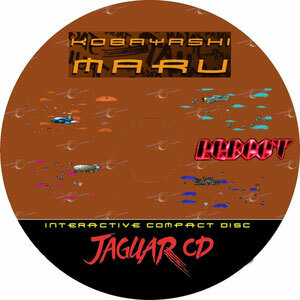 It can be played with either a rotary controller (such as Chaos Reins, Tyrant or Jonathan Ascough pad) or a regular Jaguar joypad. As with all our other games, it's freely available for download in a number for formats to suit your setup. Xu approached the balcony of his presidential suite in his usual calm and purposeful manner. This time was different, however. As he looked out to the stars for what was sure to be the last time, he knew he had only one card left to play and that it offered no realistic hope of success. The Ebil Alliance was determined to take the whole galaxy... their invading forces too great in number and their simultaneous attack on all four worlds impossible to defend. As he raised his finger and gestured towards the hangar below, signaling the launch of the Tetrad's prototype warp ship, he knew his coalition of the last four free worlds in the system could not hope to survive such an onslaught.